Be inspired by these designer dining spaces that will make eating-in an enviable experience. 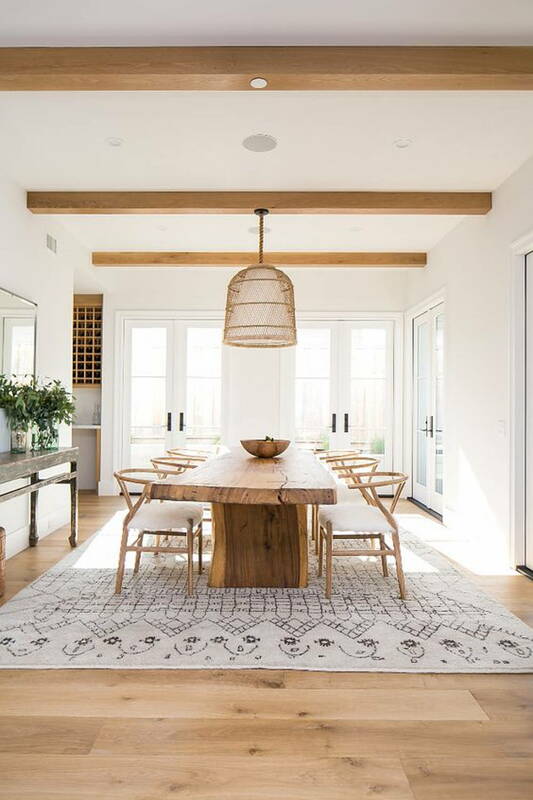 These interior designer curated dining room design ideas will motivate you to create a cosy and trendy dining area that you’ll look forward to coming home to every day. Dining rooms are an essential part of every home. It is a communal space for food, festivities, family, and friends. These dining room design ideas will inspire you to create a cosy and trendy dining area that you’ll look forward to coming home to every day. A contemporary farmhouse design like this one is simple yet gives off an air of sophistication and class. We love how the homeowners opted for minimal décor, allowing the rustic furniture to be the centre of attention. This Scandinavian interior strays away from the neutral hues that epitomise the style. 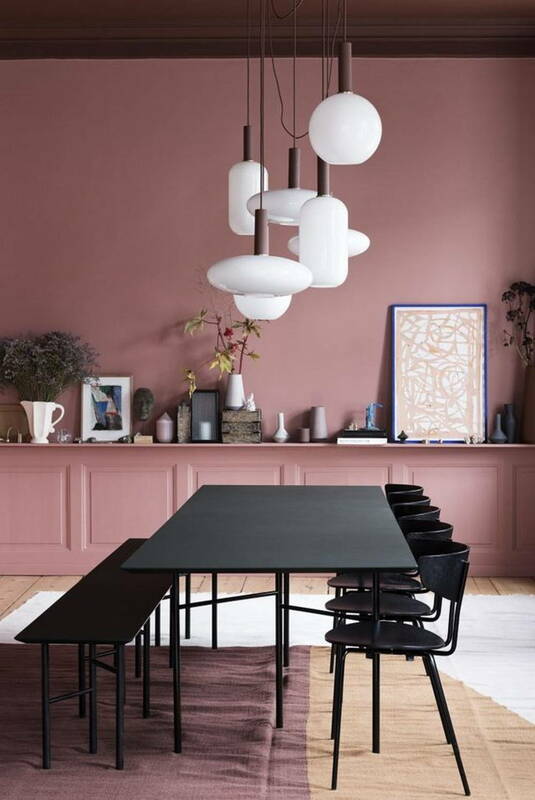 The salmon pink walls and black dining set perfectly contrast each other to create a unique and stylish space. For a beachy cool vibe, get a hold of this this rustic dining space. 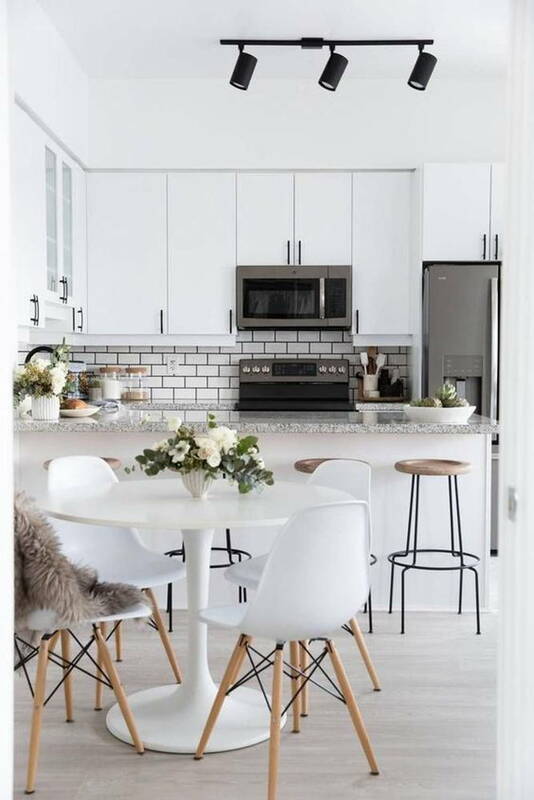 The designers of this space chose to mix and match their dining set with a wooden bench and stylish white chairs. 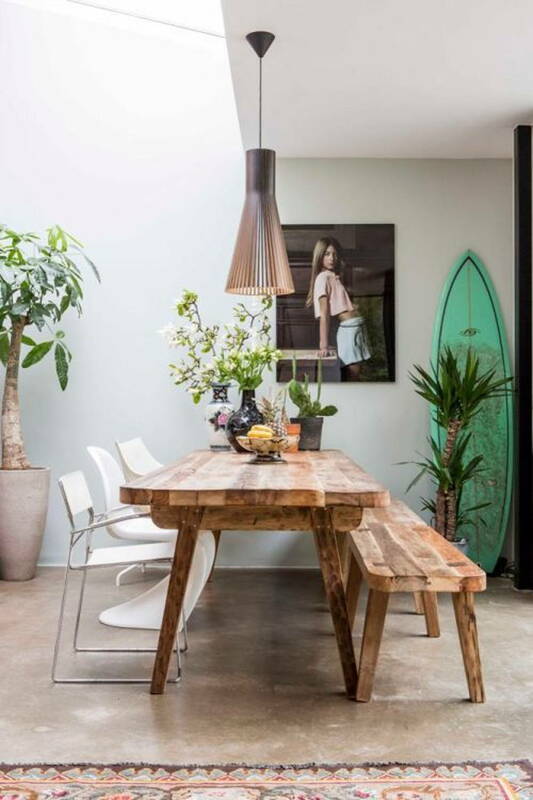 The addition of greenery and a surfboard complete this fun dining area. 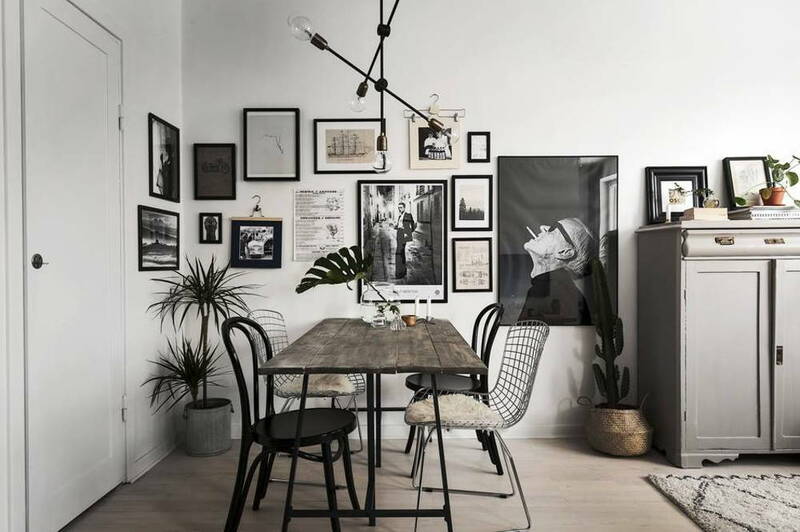 Featuring a black and white scheme, this industrial themed dining room is classy and creative. The addition of wood and metal chairs are a great way to embrace a style that celebrates raw elements. If you’re working with a small space, consider opting for a small dining table like this one. Perfect for a meal for two, this dining area allows you to save prime floor space for all your other necessities. 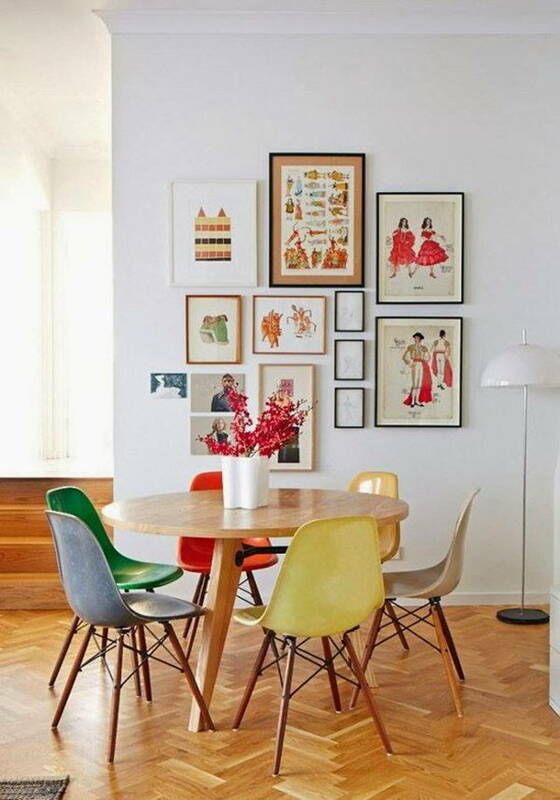 Inspired by a retro theme, this small dining room is great for a home that loves bright hues and a fun space. You can easily shake things up in your dining room by using different coloured chairs at your dining table. This dining room design is sleek and trendy. 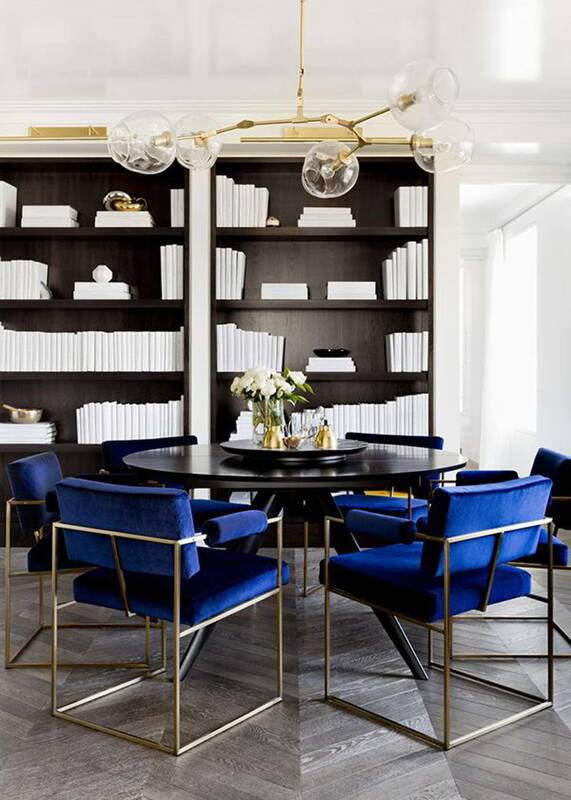 We love how they paired dark tones with jewel blue chairs – they perfectly complement each other. 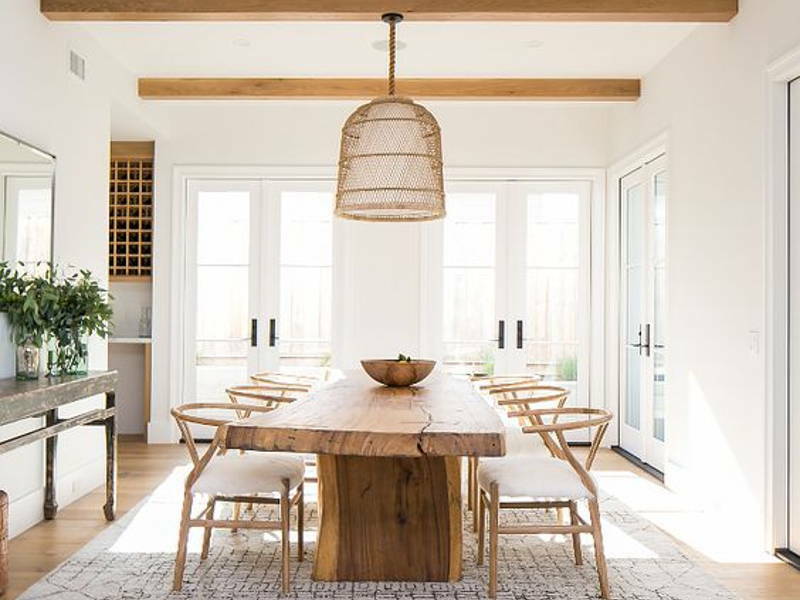 For a relaxed rustic design, take inspiration from this dining space. 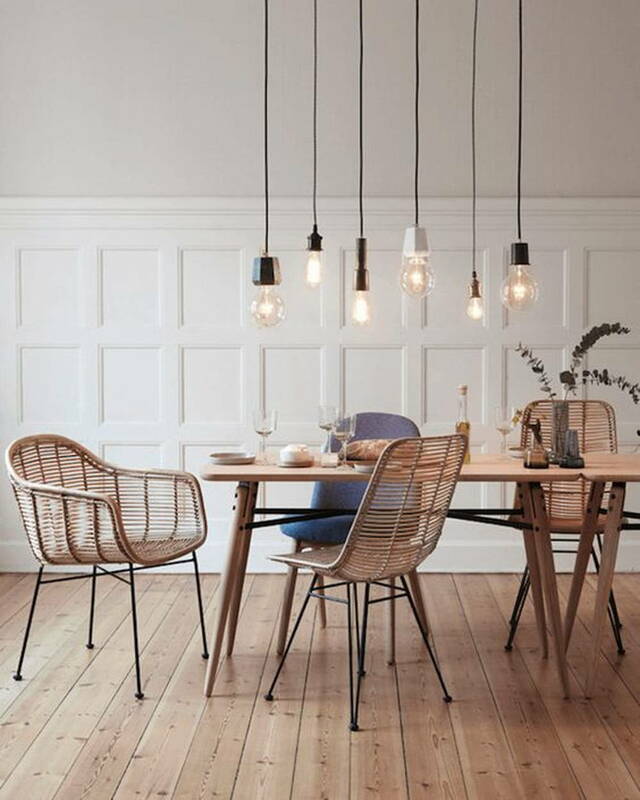 The use of rattan chairs, a wooden table, and creative lighting really elevate the space. 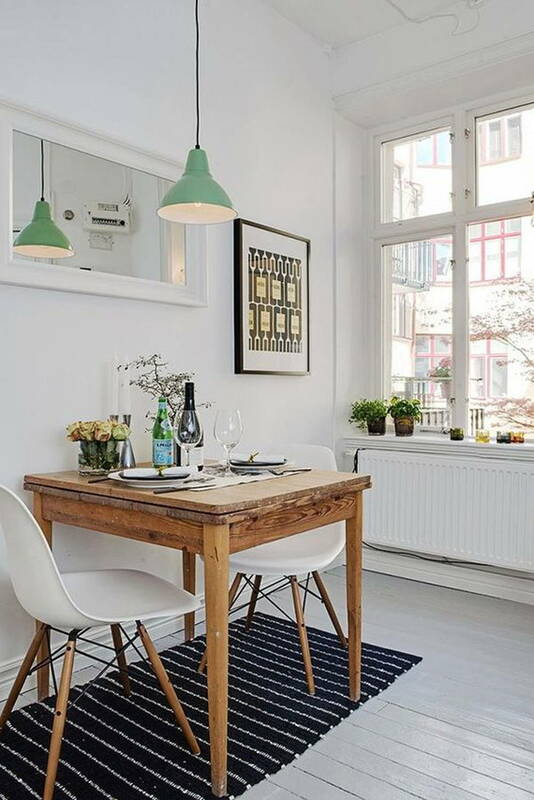 This pristine Nordic-themed dining space proves just how easy it is to create a trendy room. 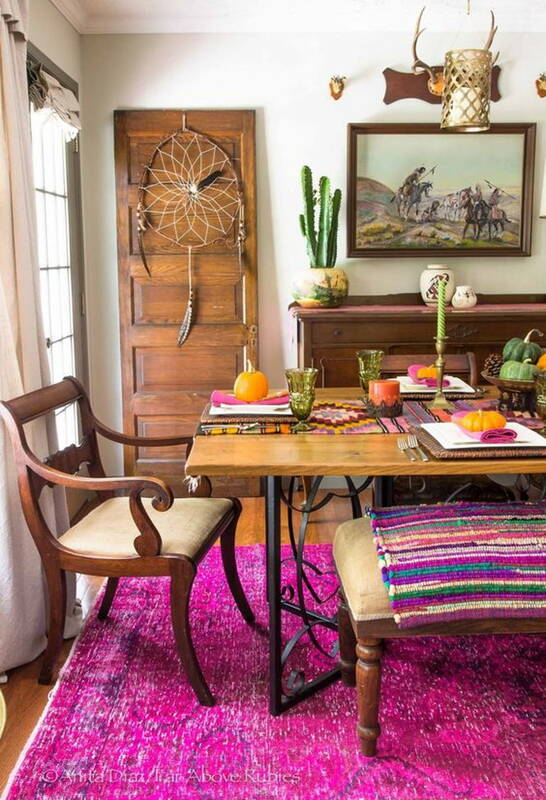 Flaunting an eclectic bohemian style, this space features bright colours, mix and matched furnishings, and greenery which come together to create a playful and fun dining area. Want to own a designer dining space? 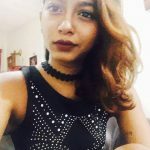 Receive free quotations from Malaysian interior designers by checking out their interior design portfolios.